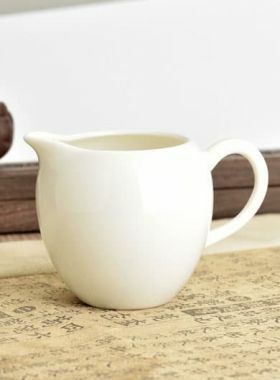 This tea pitcher has jade-like glaze color, cracks on the surface as the decoration and no handle design which narrows the distance between people and tea liquid. 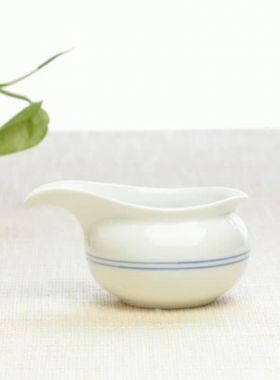 The tea pitcher (Gong Dao Bei) has no handle, so when sharing the tea liquid, we need to use fingers to hold the slightly revolute rim of the pitcher. 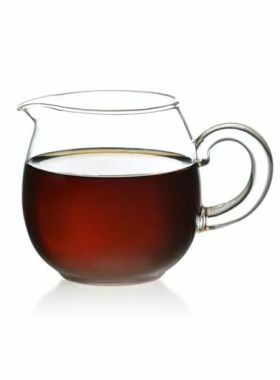 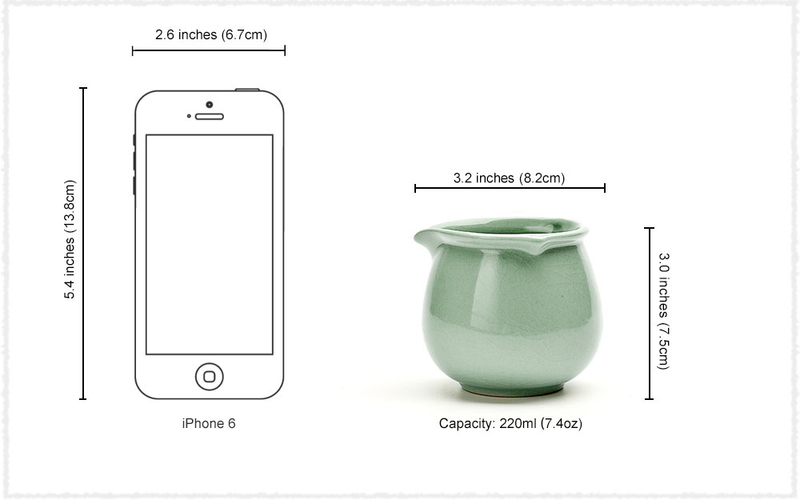 At this time the heat transfers between the palm and the body of tea pitcher, and then people can closely communicates with tea. 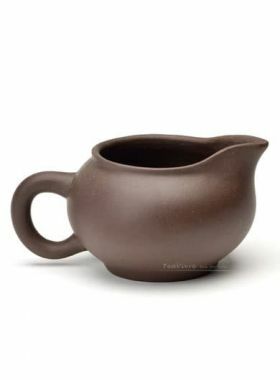 Because of the mellow cup body, thick cup wall and finger only holding the top part, all these help us avoid being scalded.